As I mentioned in my earlier post, cow’s milk is “THE” most over-rated source of calcium and mostly force-fed to children, either directly or by mixing with artificial, sugar-loaded health supplement powders. Even in the case of women and elderly, milk is given the supreme status with respect to calcium intake. It is not surprising that you see the availability of many women/elderly-specific health supplement drinks in the market, with a “fear” inducing claim related to osteoporosis and reduced bone density. Calcium is important, not just for your bones but also for the effective functioning of heart, muscles and various other organs in your body. Calcium from plant-based sources is absorbed more effectively by our digestive system, whereas only 30% of calcium is absorbed from cow’s milk. Calcium is available in plenty in various lentils, grains, vegetables, greens and fruits. I went through the data in NIN’s recently released "Indian Food Composition Tables - 2017" and made a table of such plant-based sources and their calcium contribution. Please note, our requirement of calcium is in the range of 1000 to 1200 mg per day. As you can see from this table above, there are “plenty” of plant-based sources from where we can get enough calcium to meet our daily needs. This widely-accepted claim of “milk” being the uber-source of calcium is a false propaganda by the dairy industry. (1) Include greens atleast 5 days a week. Make the extra effort to procure them from organic stores or local farmers if they are not available in supermarkets. 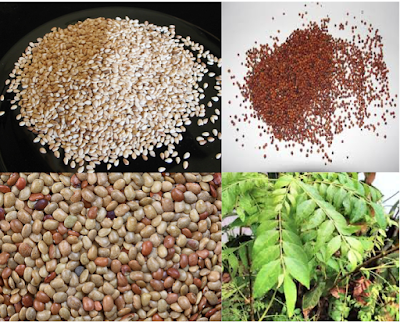 (2) Start incorporating ragi (finger millet) in your weekly diet in the form of idlis, dosas, rotis or porridge. (4) Horsegram (Kollu / Kulith) is a super pulse and offers tremendous health benefits. Make dal, chutney podi, sambhar or rasam. Sprout it and include in salads. Or just steam them and have as a sundal for evening snack. Since horsegram is heat generating, include them in small quantitities during summer. (5) Curry leaves are a rich source of calcium and iron. If you don't like to chew them while eating dal or sambhar, make a powder / podi. Sprinkle them in your dry sabjis. Finely chopped curry leaves can be added to adais, rava idlis or vadas. (6) Eat a handful of dry fruits and nuts such as raisins, dates and almonds as a snack or add them to your porridge. (7) Most of the spices we use in Indian cooking have plenty of calcium. Though Western foods are all the rage here in urban India, do stick to your roots and cook/eat Indian cuisine as often as you can. It is amazing to see how our cuisine celebrates such spices that not only adds flavour to dishes but also offer a plethora of healing and health benefits. It doesn’t make sense to me to pop a daily calcium supplement tablet or drink a glass of processed calcium-fortified health drink when we have so many plant-based sources. 1) Vitamin-D as most of us know. Do spend time soaking in the sunshine everyday. 2) Reduce acidic foods such as caffeine, aerated drinks, alcohol and processed foods. In order to maintain the pH balance, our body tends to leech calcium from bones. Include more alkaline foods such as cucumbers, capsicums and lemons in your daily diet. Hope this list is helpful. Do share your feedback/comments/questions if any. P.S. If you are pregnant or lactating, then the calcium requirement is higher and so please consult with your doctor. P.P.S I'm not a vegan yet. I'm a vegetarian and I do eat milk-based products. But I just can't accept this ridiculous claim of milk being a super food for women and children. An opener. V useful. Can you please mention daily requirement of calcium in children and adults ? 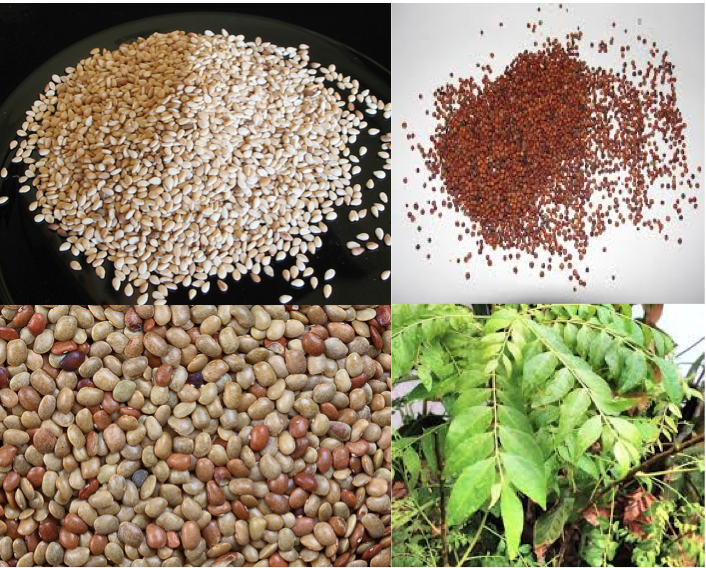 There is also one product called as aahliv or aaliv in marathi which is a rich source of iron and calcium. @Mukta, This is what I found from American Academy of Pediatrics - Kids 1 to 3 years old need 700 mg of calcium a day. Kids 4 to 8 years old need 1,000 mg of calcium a day. Kids and teens 9 to 18 years old need 1,300 mg of calcium a day. Aaliv is called garden cress seeds, they are rich in iron and calcium.